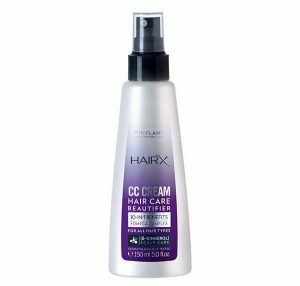 One product – several fantastic hair benefits. Protection, beauty and nutrition, all in one step. No need to rinse. 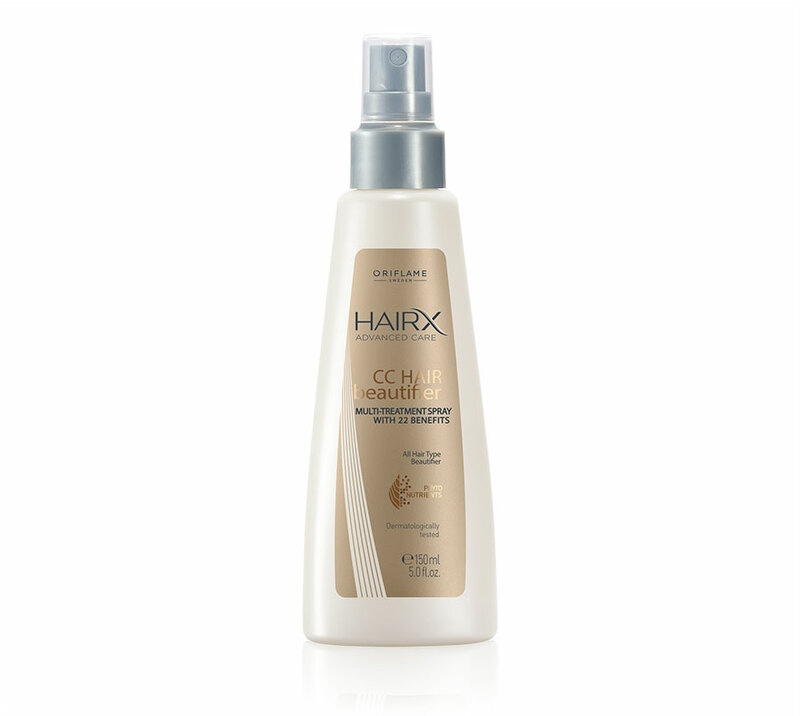 Get to know Oriflame’s CC Hair Beautifier Advanced Care HairX Spray. Surrender to this amazing multi-benefit cream! 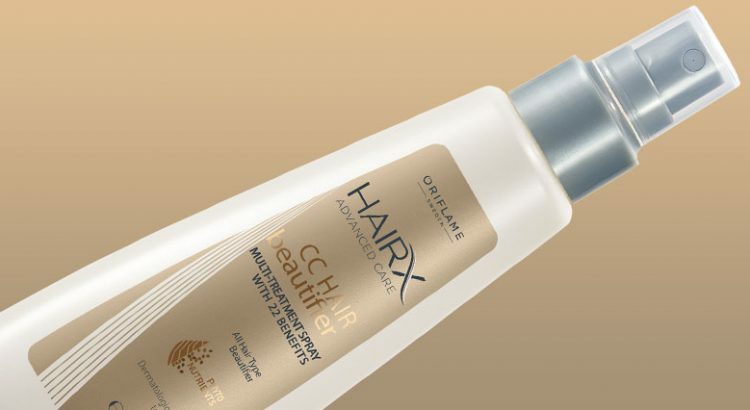 A complete care for your hair , with a soft, non-greasy formula, suitable for frequent use and for all types of hair. Helps nourish hair from the inside, repairs damaged hair and makes it healthier and easier to comb. If you liked this product, you will love the new improved formula! Helps protect against external aggressors. Press the dispenser 2-4 times in the palm of your hand. Rub the product between your hands and distribute evenly on the hair. Spread the product thoroughly on damp or dry hair, from the middle to the ends. Do not rinse. benefit spray, leave-in spray, with Complex Phytonutrients for smoother, easier-to-comb and beautiful hair. Not greasy, not cola. Suitable for everyday use and for all hair types. 150 ml.